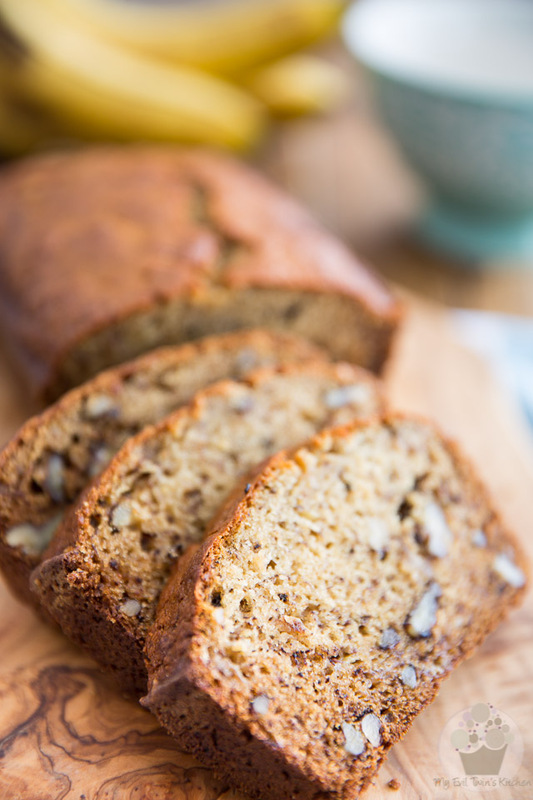 Looking for the perfect banana bread recipe? Well, look no further, cuz you just found it! 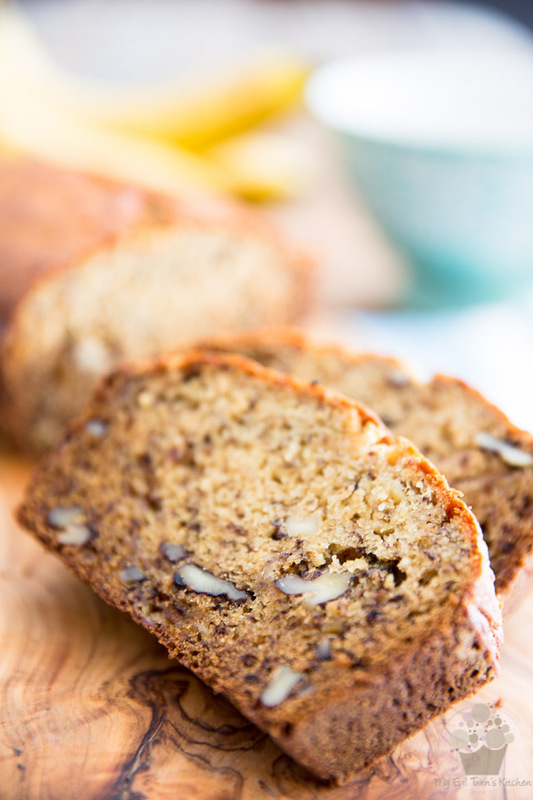 Even if you’re not actually looking for a banana bread recipe, be happy that you found this one. 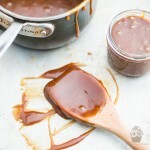 It’s so ultimately perfect, it will make you want to throw away ALL your other recipes before you’ve even swallowed your first bite! What’s so perfect about it you ask? Well, for starters, it really is a totally no fuss, no mess kind of recipe. It will not ask of you that you dirty the entire kitchen or even whip out any of your fancy kitchen gear. The only things that it asks for are a few bowls and a fork. Oh, and a loaf pan, of course! I’m telling you, recipes they do NOT come easier than this. 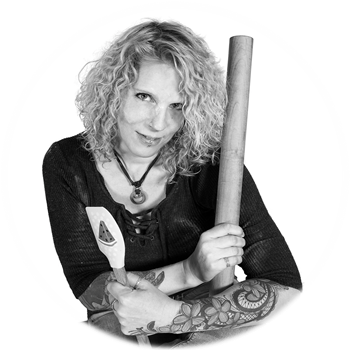 Also, it’s very forgiving… it will not hold it against you if you use smaller or bigger bananas – in fact, it doesn’t care about size in the least! You could even probably get away with being short one banana, or adding one too many. 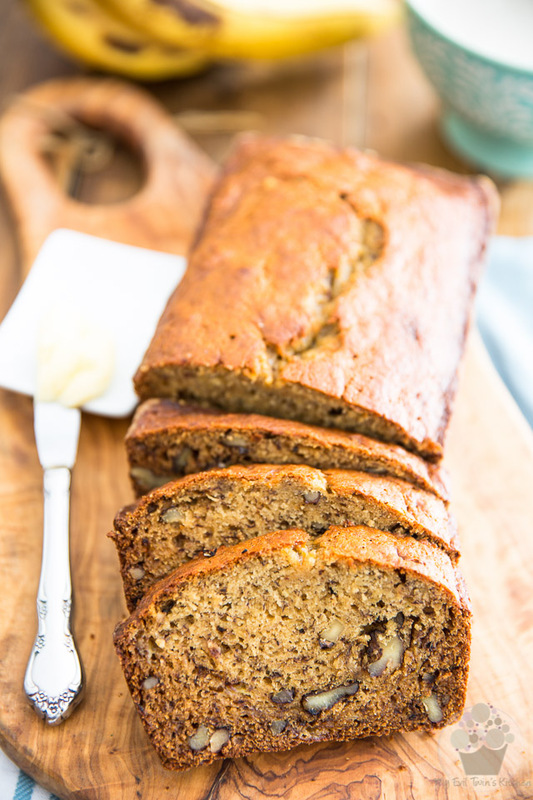 Likewise, you can play around with the amount of sugar that you add… if you prefer your banana bread a little bit less sweet, you could very well reduce the amount of brown sugar, or replace some of the brown sugar with granulated sugar. 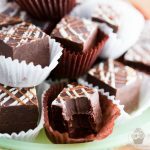 You could in fact pretty much reduce the overall amount of sugar by up to half. Of course, none of this would mean anything if the finished product itself wasn’t totally insanely delicious! This cake, it’s perfectly moist and tender, exquisitely rich, buttery and sweet, and it utterly explodes with the most intense banana flavor. 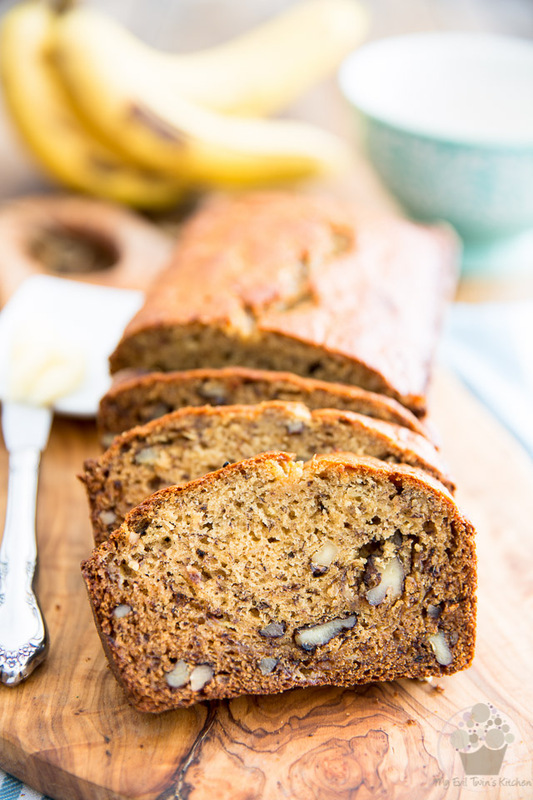 I’m telling you, this banana bread is so unbelievably good, you’re gonna want to know this recipe by heart.. and you just as soon will, too! And then like me, not only are you never going to wonder what to do with your over ripe bananas, but you’ll let them get there on purpose. You’ll be looking at your bananas every day, eagerly waiting for them to turn the right shade of brown. And then you’re gonna wish you had bought more. Cuz bananas, really… who knew they took sooooo long to ripen? Preheat the oven to 350°F; grease and flour a one pound loaf pan. 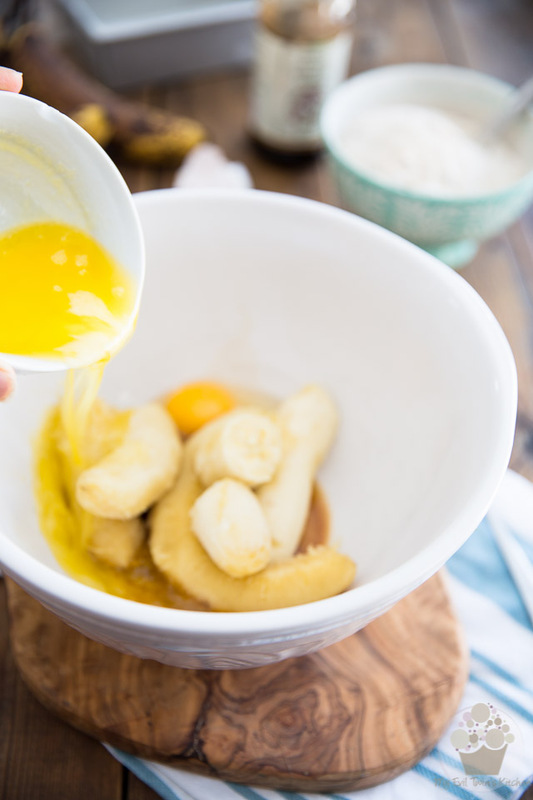 In a large mixing bowl, combine the ripe bananas, melted butter, eggs and vanilla extract. The size of your bananas isn’t really important here, but I say the larger they are, the better! Same goes for their level of ripeness… the browner that outer skin, the sweeter and tastier your banana bread is going to be! Mash and mix everything up with a fork until all the ingredients are well combined and the mixture is completely smooth. Or well, as smooth as can be, that is. Don’t go absolutely overboard crazy here; a few lumps of bananas here and there are absolutely fine. Remember, this is an easy, no-special-tools-required recipe. There’s no need to go whipping out the food processor for this! Now, in a separate bowl, combine the flour, sugars, baking soda and salt and mix well with a whisk until fully combined. Stir in the walnuts, if using. 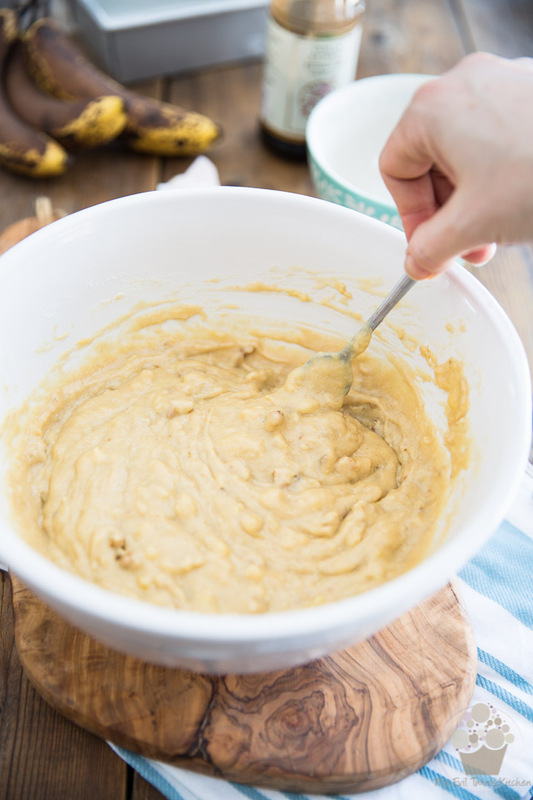 Adding the walnuts to the flour as opposed to throwing them directly into the finished batter will help to prevent them from sinking straight to the bottom of the banana bread. And say you weren’t a fan of walnuts, you could very well replace them with pecans, toasted almonds, raisins or even chocolate chips! Of course, you could also leave them out entirely… that wouldn’t pose a problem at all. Mix until well combined, no more. 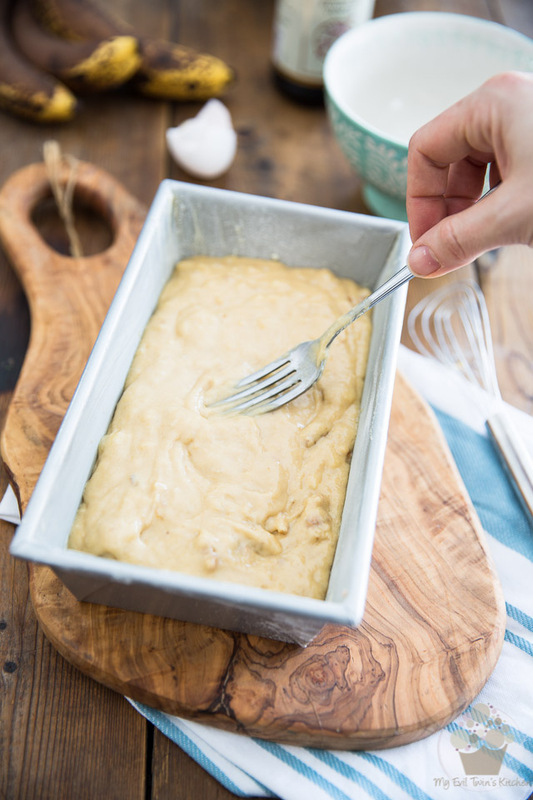 Pour the batter into your prepared loaf pan and help spread it with your fork if you have to. 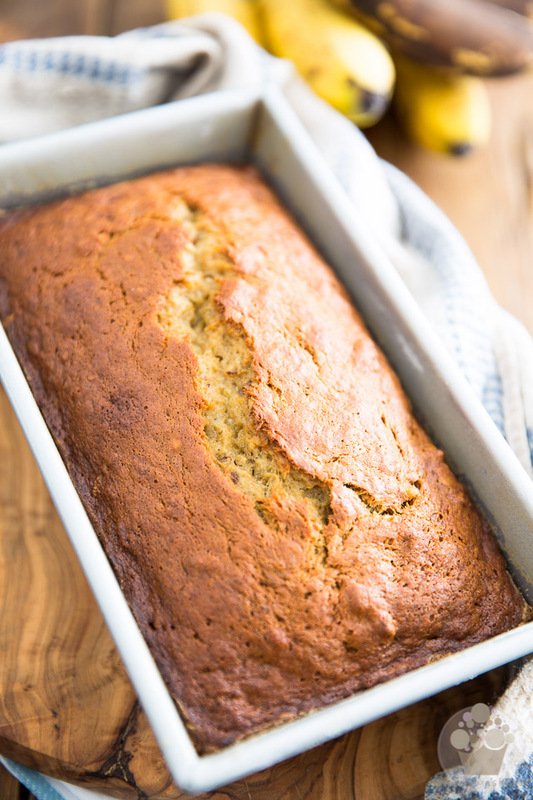 Bake your banana bread for 65 to 75 minutes at 350°F, or until the top is nice and golden brown and a toothpick inserted in the center of the cake comes out clean. Remove the cake from the oven and place on a cooling rack to cool for at least 30 minutes, or at least until the pan and cake can be safely handled with your bare hands. I know, I know, the wait will be pure torture, but keep yourself busy (too bad you don’t even have a kitchen to clean up, eh? that would’ve done the trick alright!) and before you know it, you’ll be able to remove the banana bread from the pan, and then finally slice and serve it. I just know it’ll be gone in a blink of an eye. 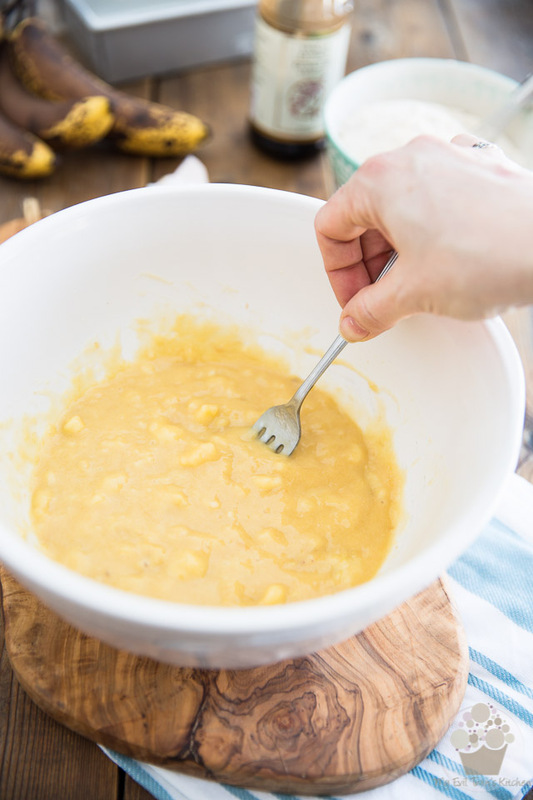 In a large mixing bowl, combine the ripe bananas, melted butter, eggs and vanilla extract and mash well with a fork until well combined and completely smooth. In a separate bowl, combine the flour, sugars, baking soda and salt and mix well with a whisk until fully combined. Stir in the walnuts, if using. 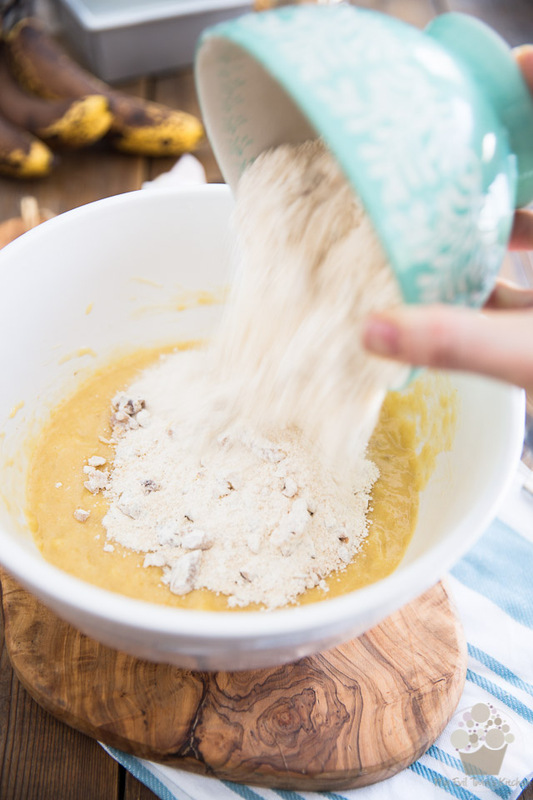 Add dry ingredients to the wet and mix until well combined, then pour the batter into your prepared loaf pan. Bake for 65 to 75 minutes at 350°F, or until the top is nice and brown and a toothpick inserted in the center of the cake comes out clean. 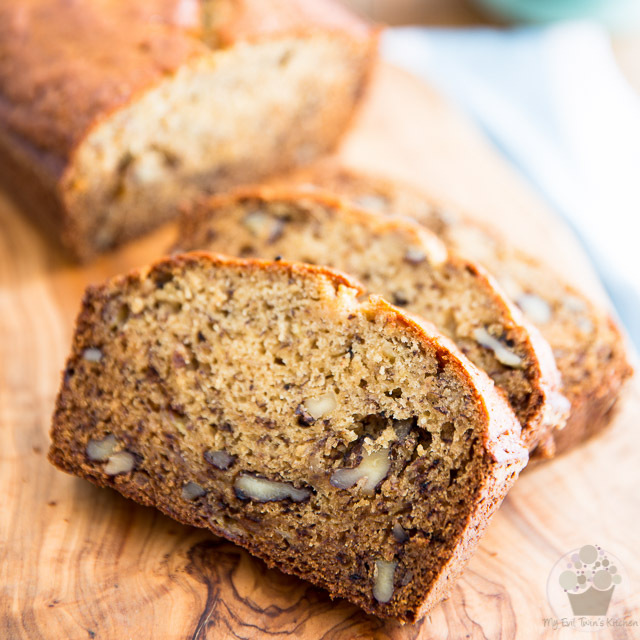 Remove the banana bread from the pan, then slice and serve. 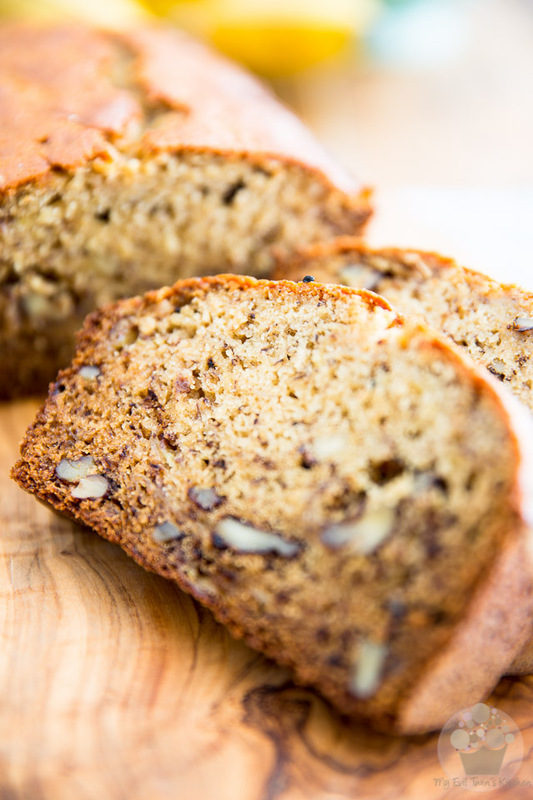 Here’s a tip for you… try my Tropical Cashew Coconut Spread on your banana bread next time… omgoodness me it’s to die for! I think you’ll thank me for that. Or curse me for the rest of your life! Hi “my evil twin”, I have made this twice in the last month and really love it. It is even better than “mom’s” and that is saying a lot. Anyway, I love muffins and wondered how this recipe with work. I know I probably will have to cut down the cooking time. Also I use a Demarle muffin pan/mold. Any thoughts? 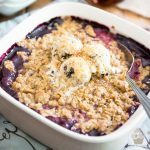 Grateful for all your recipes !! Better than mom’s? Now that’s a serious compliment!!! I’m not familiar with Demarle muffin pans, but I’ve successfully made muffins using this exact same recipe in the past. I had just enough for 12 large muffins. Of course, I had to reduce baking time, but they came out perfect! So happy to hear the recipe will work! Demarle is a molded muffin “pan” that makes muffin removal easy as “pie”! I believe it is a CANADIAN company. IT WORKED BEAUTIFULLY!!! 12 perfect muffins!!! 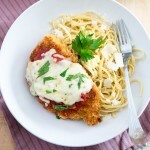 This is my Fav recipe…at least until I try your chicken Parmesan ???? Thanks, again, my ‘evil twin’! My husband say he really likes your ( now my 🙂 ) recipe for chicken Parm. I did substitute thighs for the breast and really came out super! You can change your name to “the amazing eveil twin.kitchen”.